Fatal collision as car crashes into back of truck on the N1 south about 2km from Kranskop. Serious accident on the N1 south about 2km from Kranskop. Reported that 4 people sustained serious injuries. VW polo sedan was speeding and crashed into the right back of a Scania truck. 1 Passenger, 23 years old was declared dead. 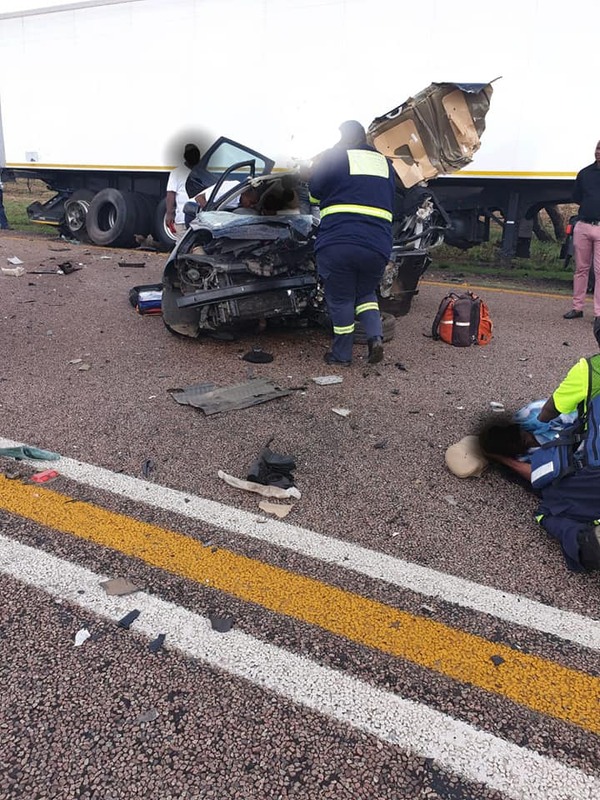 The driver sustained very serious injuries and 2 passengers sustained serious injuries. Injured persons were taken to Voortrekker hospital and FH Odendal hospital.